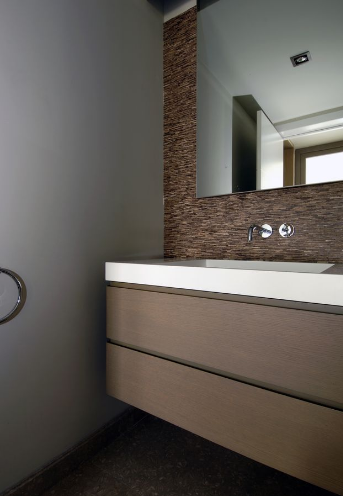 A vanity plays a huge role in determining the design of your bathroom. You need to take into account a number of things to ensure that it looks perfectly positioned. If the vanity is placed in an odd position, it will affect the movement of individuals using the room. This article will discuss factors to consider when choosing the right vanity during a renovation. You need to realize how much space you need in your vanity. Outline all the things you store in your current vanity to help you get a rough idea of the size you require. It is essential to consider the items you use most so that you can place same at arm’s reach. It is advisable to increase your space by at least twenty percent more to be on the safer side. Additionally, you should consider installing hanging vanities that will create adequate space. This will also save on floor space. A bathroom is usually a wet place most of the time. As a result, you need to carefully choose a vanity that is made of a material that can withstand this kind of environment. If you are planning to use a wooden vanity, you should have it sealed with a water-resistant substance such as lacquer. Vanities with marble countertops are the most suitable ones in such situations. The position in which the vanity is placed matters most. It needs to be located in a place where it can easily be accessible especially when cleaning. You should also ensure that it is possible to place a mirror above the vanity. The will increase its functionality especially during the busiest hours such as mornings. You also need to think about the size of your bathroom. You need to pick out a vanity that will match the size of the room instead of making it look overcrowded.